ABHINAYA JAGRUTI INSTITUTE OF THEATRE is located in BHUBANESWAR Orissa . ABHINAYA JAGRUTI INSTITUTE OF THEATRE is registered as a Society at CUTTACK of state Orissa with Ngo unique registration ID 'OR/2011/0041980' . 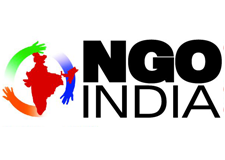 The NGO registration is done by Registrar of Societies with registration number 21991/169 on the date of 08-12-2004, Its parent ORganaisation is PaulFoundation. The Chairman of ABHINAYA JAGRUTI INSTITUTE OF THEATRE is MAYA DAS and Chief functionary officer is AJIT DAS. Theatre performances reviving the respect to Odia Literature by adopting classic novels and stories and putting before common audiences Theatre performances by training rural and tribal artists addressing local social issues Helping Government by joining in awareness building theatre action for the rural and tribal development Giving training regularly to young artists by working with senior established artists in the field of theatre.